The Yamaha F/FX series is composed of entry-level acoustic guitars that are all designed to please beginners who are very new in the game. Each model here is packed with a decent sound and sturdy build at an affordable price. One standout in this series is the Yamaha FD01S. 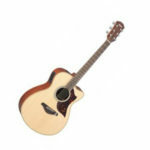 This guitar is responsive enough and offers a deep sound which is pretty acceptable for advanced players too. The acoustic guitar market is awash with great entry levels in this price range. What makes the Yamaha FD01S a cut above its kind? Find out. The Yamaha FD01S has a solid spruce top, nato (eastern mahogany) back and sides, nato neck, and rosewood fretboard and bridge. Everything is coated in a natural finish. No ugly glue and splinters. This dreadnought has the standard die-cast tuners, a good-looking dovetail neck, white plastic nut and saddle, and a pickguard, among other components. One thing that will surprise you is the non-laminated spruce top. That says a lot about the craftsmanship of this guitar and the commitment of Yamaha to deliver a quality instrument at an affordable price. However, the overly shiny laminated nato neck and side tend to dial down the bass a bit. Despite that, the neck makes it easier for you to slide and bend. Not so surprisingly, the tonewood used all over the guitar contributes quite well to the overall presentation of the tone and projection. Specifically, the solid spruce top helps in producing a clear and crisp sound. Even if you will immediately use it out of the box, the default setup is not the best, but it is never bad at all. Although, you can improve it with tiny little changes to suit your taste. The Yamaha FD01S has a promising sound quality, but it is not without hiccups. When used in a company with other instruments, this guitar might just drown out, just like the case of many low-end entry-level acoustic guitars. A word of advice: if you want it to sound better than it already is, consider replacing the strings that suits your taste. If you do not have the extra cash to spare, you can just lower the action a little bit. As you progress, you will definitely enjoy bluegrass picking with this guitar. The Verdict: Should You Buy Yamaha FD01S? 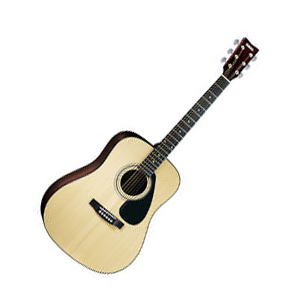 Like the other affordable acoustic guitars in the F/FX series, Yamaha made sure to deliver a decent model with the FD01S, from the tone to the wood to the value. The bright and deep sound is not the best out there, but it surely gets the job done. Note that if you are looking for electronic tuners and a pickup for onstage performances and personalized tuning changes, this is not for you. 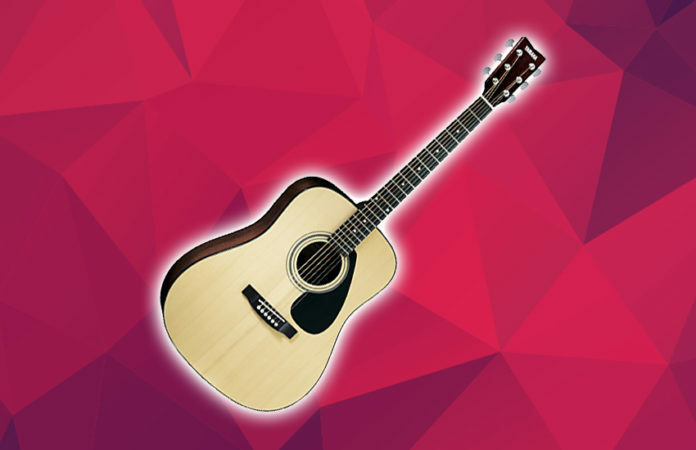 For around a hundred bucks, the Yamaha FD01S acoustic guitar gives you a bang for your buck. All in all, the Yamaha FD01S is a viable option for beginners, especially for first-time players.